Look at this year’s Hall of Fame ballot and you will probably be feeling emotions, Mariah Carey style. For real though, there’s a lot to think about when looking at it. 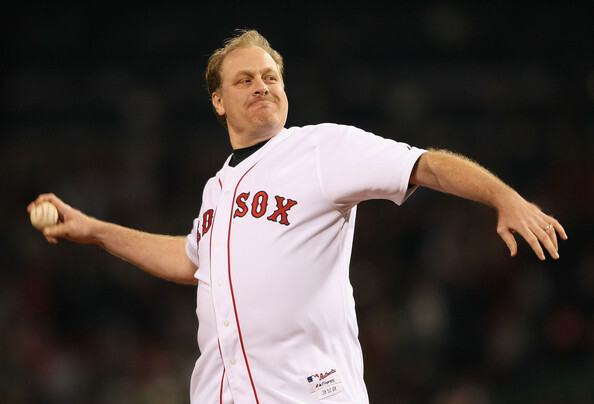 Here’s one that could use some attention though : Curt Schilling. Now that’s a guy who belongs in the Hall of Fame. Just gonna start with the knockout punch because there’s a chance I could knock you out with it. There’s been 16 pitchers in big league history who have struck out at least 3,000 batters. Of them, 14 are in the Hall of Fame. Of the two who are not, one is a PED user named Roger Clemens. The other is Curt Schilling. So if you think about it, Schilling would have the most strikeouts of any non-PED user not in the Hall of Fame..
Plus, the guy was an ace for the ‘04 Red Sox, ‘07 Red Sox and ‘01 Arizona Diamondbacks. Oh and he posted an 80.7 WAR in 20 big league seasons, which is higher than both Tom Glavine and John Smoltz in less seasons. The only guys with higher career WARs who ain’t in the Hall are Roger Clemens (PEDs) and Mike Mussina (who should be in even though he wasn’t quite the postseason pitcher Schill was). Playoff stats? 11-2 with a 2.23 ERA in 19 starts with 120 strikeouts in 133.1 innings. Plus the bloody sock game. Yeah. Just went there. Want to slight Schilling for his social media use? OK. How about Cap Anson and Ty Cobb in the Hall of Fame? Anson refused to take the field against African-American players and Cobb was a big-time racist too — yet people remember those guys as great baseball players. We get it. Schilling is a republican. And that probably offends a lot of people in the blue northeast. Not only that, but he’s had his share of social media mishaps. OK, he’s probably done a lot of things to bug people. But this is the baseball Hall of Fame, not the political Hall of Fame. Here’s another interesting note: I’ve covered pro baseball the past few years and have found out these guys are just like everyone else — they’re all human beings no matter how much you think of them as something else. It doesn’t take away from what they do on the field though — especially dissenting opinions. Have your opinion, he can have his. Thought that’s what America is about. Not naming any names, but just saying any writer who says they’re not voting for Curt is looking for attention and trying to be the center of attention.